Discussion in 'Competition' started by Fixious, Jun 6, 2017. Looks like we're aiming to start PUG nights this Saturday at 8pm EST. If they're a success we'll keep having them. A Steam announcement will go out shortly before they begin. 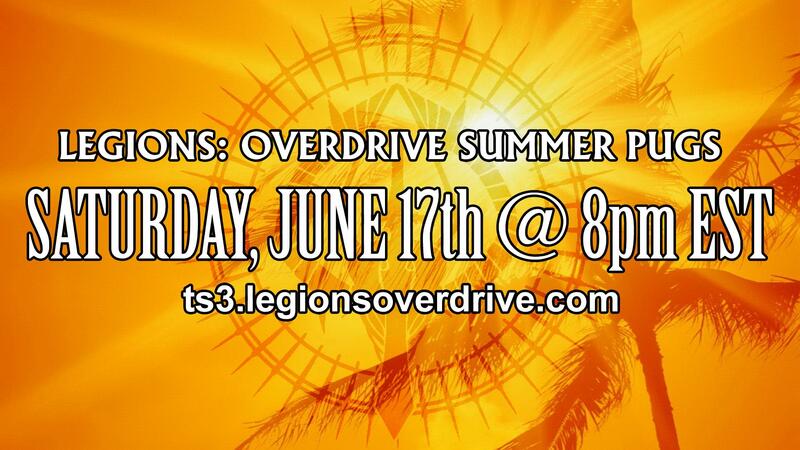 Same TeamSpeak as before - ts3.legionsoverdrive.com. There's a small bug with menu options not displaying properly. To fix that, see this post. Accelerate, Teddy945 and yami like this. Whoever's planning on coming reply to the thread so we know what we're working with! the ONE time I have a weekend to myself and this happens. (*dance* yeeeeeeeeeeeeeeeeeeeeeeees) Only play if I can HoF, and if I remember. I miss this game a great deal. It was a fantastic game to play with great people. I won't be able to make it this time, I have plans. If this continues I will make sure to pop in and get shot down like a bird with a broken wing. I might just make an appearance! Short but sweet. I know a few players couldn't make it, but next weekend should have a better turnout. yami and IzSid like this. Press TAB (or whatever your third person bind is). Open console by pressing Ctrl + ~. Type finddemocam and press enter. Movement is fairly simple. To go up use your jet up key, to go down use your downjet key. Scroll wheel controls camera speed. Number keys control time. 1 for Pause/Play, 2 for Speed Up, 3 for Slow Down. F4 to open the GUI. You can snap to players using the GUI on the right, but it can be finicky and unstable at times, so use at your own risk. A proper text tutorial for LODC was never really created. Poponfu made a video but the audio is horrible. If anyone wants a better tutorial I can try to whip one up if there's interest. If anyone else could upload their demo from the first game, that'd be nice. Mine takes forever for the game to actually start since I never disconnected/reconnected.